Last week I went for a bike ride with my friends. It was one hell of a ride and that too after years. We enjoyed completely. We visited the temple nearby and then spent some good time playing, chatting and clicking some wonderful snaps at nearby dam. Since, I was the only one having a google pixel phone all the shots were taken from my phone. However, things didn’t go as good as I had thought. I lost many pictures and files while cleaning my laptop storage and the worst had happened as I didn’t have any backup of them. I was for sure doomed if I hadn’t found a solution for this. I searched the whole of internet, downloaded and tried to recover my lost data but all efforts went in vain. Nothing was happening positive. That’s when I saw a link for EaseUS Data Recovery Wizard. Already frustrated, I tried giving a chance. I was desperate to get back the lost data as it included many important files apart from some personal photos. I installed and followed the instructions and boom I could find all the files. Within few minutes following some steps as mentioned, I recovered all the data hassle-free. EasyUS data recovery wizard is an amazing data recovery software that can recover the lost data files, pictures, documents, videos, and more resulting from deletions, formatting errors, partition losses, OS crashes, virus attacks, and other data loss scenarios form your PCs, hard drive, USB drives, memory cards, Camcorder, Music Player and other storage devices! The best thing about this software is the ease of use of this software. The whole recovery can be done in a few simple steps. Moreover, EaseUS can recover more than 1000 types of files i.e. documents, graphics, videos, audio, email and many other in various formats. 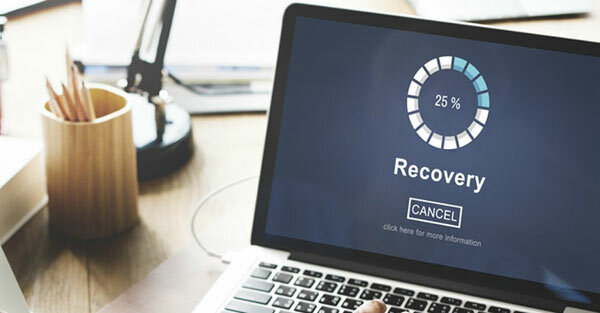 The software offers free data recovery instantly up to 500 MB which can be increased to 2GB provided the user shares the software on various social media platforms like Facebook, twitter or Google+. Moreover, the software has two other paid versions namely Data recovery Wizard Pro and Data recovery Wizard Pro + WinPE. Both the paid versions provide users a single license for use. Apart from the unlimited data recovery that has been provided under both the paid versions, the paid versions also provide free lifetime technical support. Moreover, the Pro + WinPE paid version also provides bootable media incase of emergency. In such a case, the user can boot the system with a downloadable WinPE when the system fails to start or crashes. Both the Pro and Pro + WinPE are available at $69.95 and $ 99.90 respectively. Some of the other features of the EasyUS Data Recovery Wizard is that it supports more than 20 languages and provides free trail for its paid versions. Speaking about the technical specifications and requirements, the OS in the system should be Windows along with minimum RAM of 1GB and CPU of 1GHz. Moreover, there should be an additional space of a minimum of 32 MB for EasyUS Data Recovery Wizard installation. Once, the system fulfills the requirements the software can be installed easily and the lost files can be recovered and that too in three simple steps that includes selecting the location to find data, scanning the computer or device and preview and recover the lost files. Moreover, EasyUS is updating its recovery software regularly along with bringing some new features. The latest version of the EaseUS Data Recovery Wizard 12.8 has an improved preview support along with an optimized search function. Apart from that, the latest version also provides enhanced recovery of files along faster detection using the new scanning technology embedded in the software. In all, this is the best that is currently available in the market and that too at a very affordable price without making a hole in one’s pocket. Its competitors are priced at almost twice of what EasyUS is charging for its services. Moreover, the software is quite user friendly and customer and technical support staff are at their toes to make the use of software a wonderful experience. Next: How do IT Professionals Choose 4G Routers?